Animals are all over the internet - from the cute to the funny to the heartwarming. But sadly, the internet also contains the darker side of human nature. And it can happen that an image surfaces depicting an animal being harmed at the hands of human beings. The Animal Legal Defense Fund (ALDF) - a legal organization advocating for animals, which perfectly touts itself as the only law firm whose clients are all innocent - pulled together amazing legal advice for people who have seen the worst of the worst while surfing the web. 1. Download the images immediately, and collect all the details you can about the account that posted the image - the poster's account name, the full text posted with the images and any comments posted with the images. Because image files contain important data, only use screenshots if you can't download the images. 2. DO NOT demand that the site take the images down. "Most people not affiliated with law enforcement are shocked to learn that leaving such offensive content up is the right move in the short term," ALDF's Scott Heiser told The Dodo. But law enforcement will need to see the images for evidence, so keeping quiet in the short term will help in the long run. 3. Similarly, DO NOT comment on the image or on the poster's account, or share the posting. This could tip them off that you are planning to report them to law enforcement, and you don't want to do anything that might compromise the investigation. 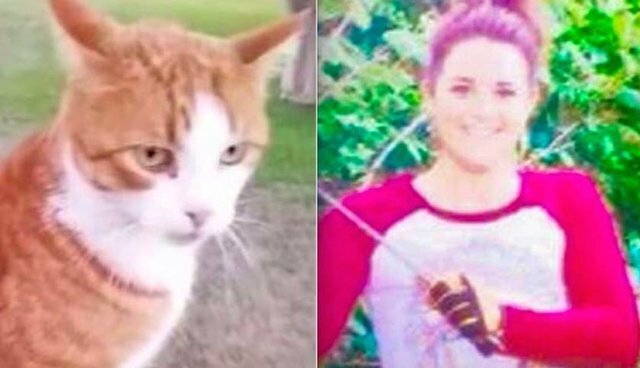 For example, after veterinarian Kristen Lindsey posted a photo and bragged on Facebook about killing a cat named Tiger with a bow and arrow, there was such backlash that she canceled her account. This hurt the case in the long run, since police had a hard time gathering evidence. After this, you have enough to take the case forward - to the police. 4. Bring copies of the evidence you've collected to the police district where the person posted the content. If that's not possible, bring it to your local police department. An officer file a formal preservation request pursuant to 18 USC § 2703(f) of the Electronic Communications Privacy Act with the host website. This will help preserve evidence. The agency fully investigate the crimes depicted in the images you discovered. You understand that you may be called as a witness. With those simple steps, your work is largely done, but the police's work has just begun - they will work on getting a warrant if they believe the photos show a crime being committed. Be sure to show your willingness to cooperate with the case investigation as it moves forward. According to ALDF, your willingness to cooperate with the case is key to righting the wrongs done to animals. Lastly, be patient. "People are often surprised at how long the investigative process takes," Heiser said. "It does take time. However, perseverance equates to a high-quality investigation, and that is what wins these cases." Read the full guide about how you can take action to help stop animal cruelty here.